Beauty is pain and many times the pursuit of external conventional beauty involves all sorts of invasive tools and procedures a passive onlooker would never dream of. 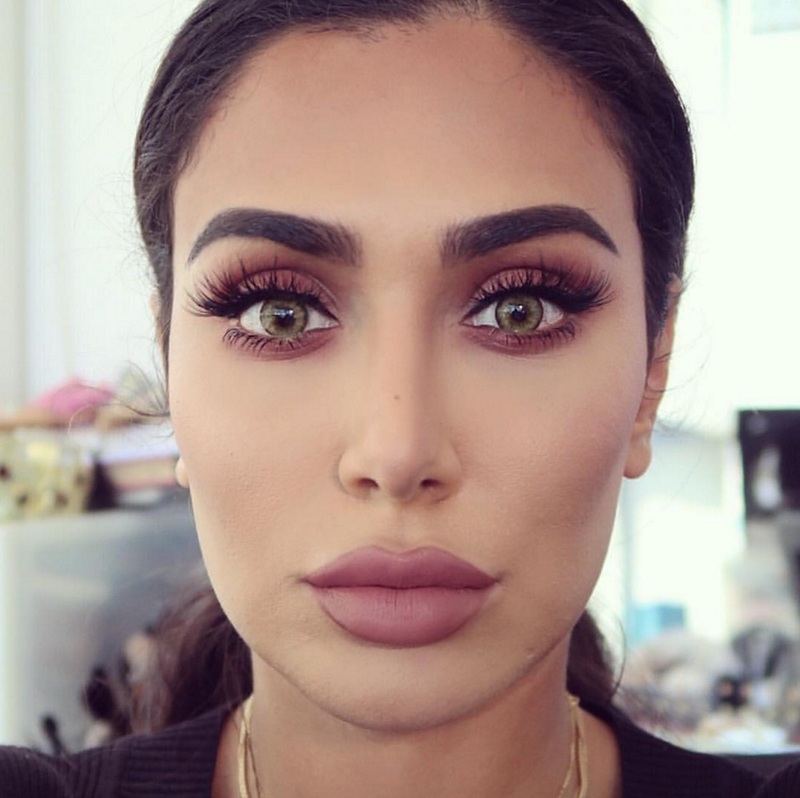 Such is the case with the beauty blogger Huda Kattan’s journey to perfect eyebrows, which involves a tool many would not expect. 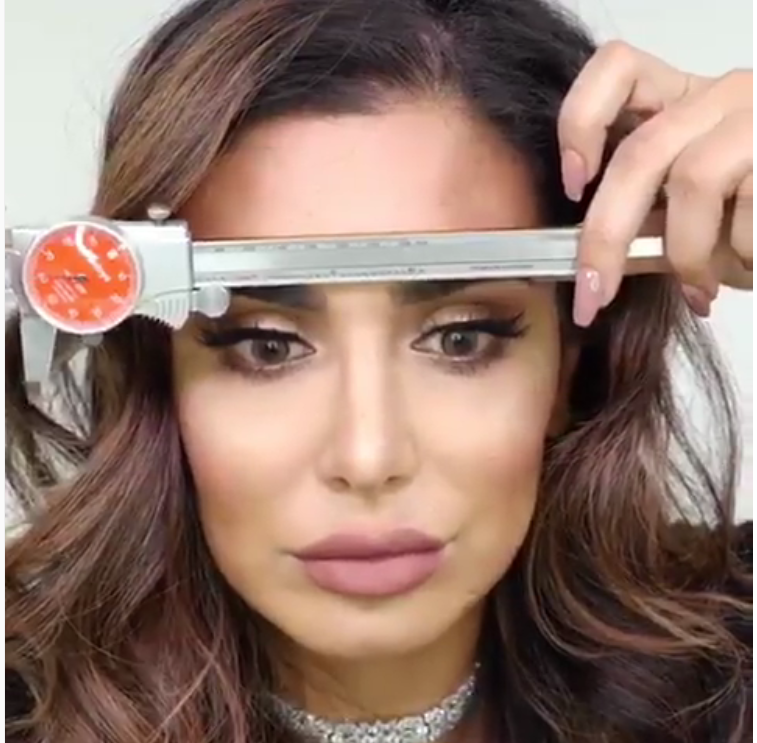 In one of her latest beauty tutorials on Instagram, the well-known beauty vlogger dished that her secret to symmetrical eyebrows involves using a caliper, a metal tool with legs used to measure both external and internal distances, to measure the symmetry of her brows. Working to achieve the golden ratio of beauty is truly a science at times! 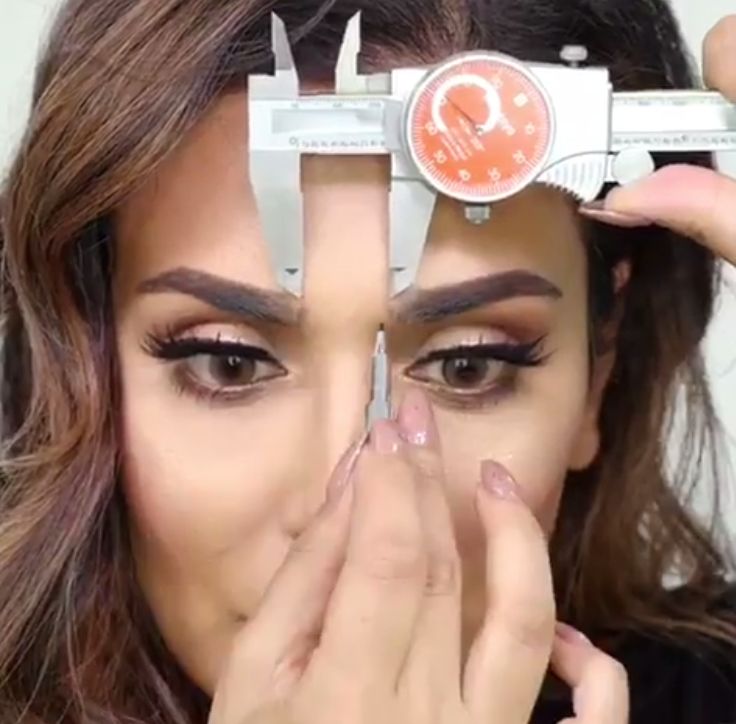 Huda shared her process with followers, so that if they feel inclined, they too can use a caliper to achieve mathematically superior eyebrows. First things first, make sure your eyebrow line is even. Then draw, shape, and pluck accordingly. The process is a lot less scary than it looks. We were half expecting some face chopping, by the looks of the caliper. Now you can bolden your eyebrows without wondering whether they’re really even, or you’ve just been staring at them for too long. You can watch the full demo here and see if it sparks flashbacks to using calipers in the science lab. One takeaway is abundantly clear: symmetry is a process.